NO. 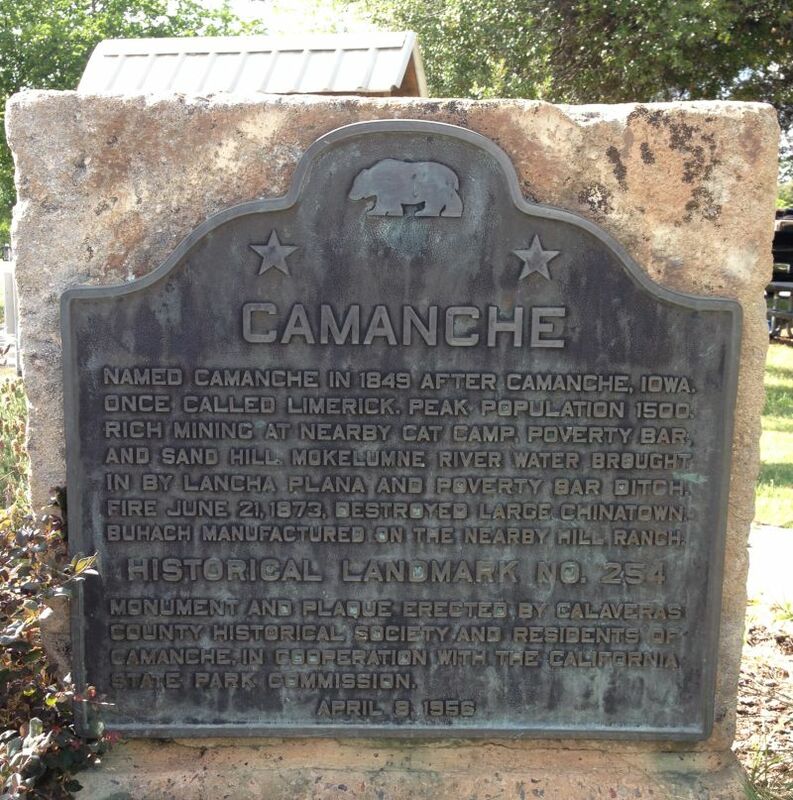 254 CAMANCHE - Once called Limerick, the town became Camanche (after Camanche, Iowa) in 1849. Rich mining at nearby Cat Camp, Poverty Bar, and Sand Hill brought its population to a peak of 1,500. Mokelumne River water was brought in by Lancha Plana and Poverty Bar Ditch. A fire on June 21, 1873 destroyed Camanche's large Chinatown. 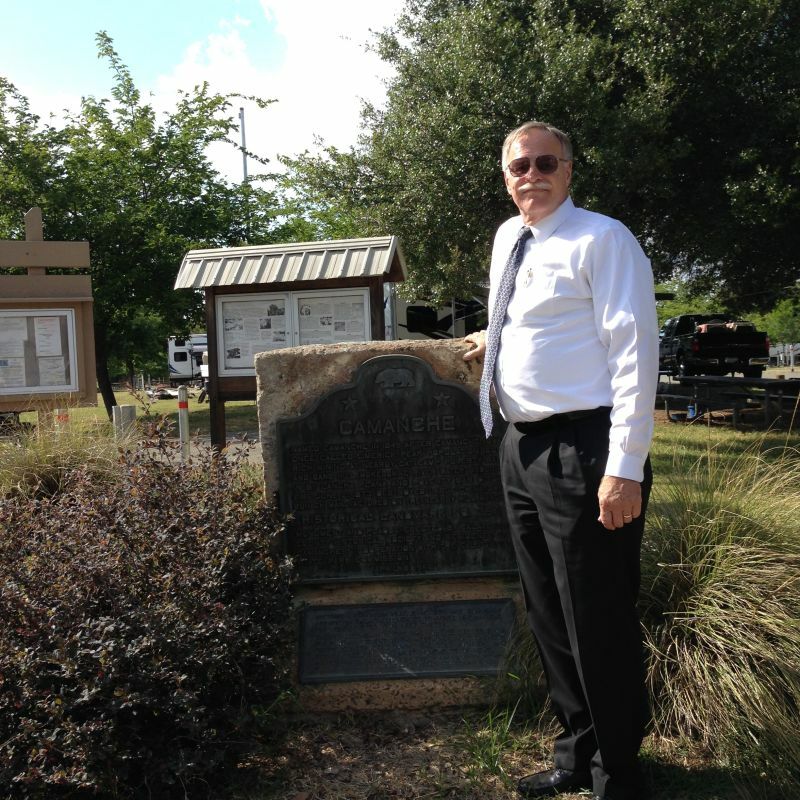 Buhach, an insect powder made from a plant, was manufactured on the nearby Hill Ranch. Camanche is now inundated by Camanche Reservoir.